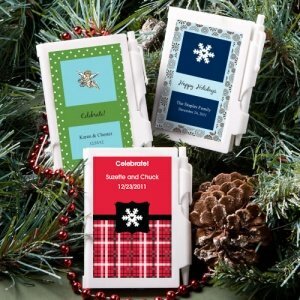 Our personalized notebook favors are a warm and festive way to thank your guests for sharing in your special day. 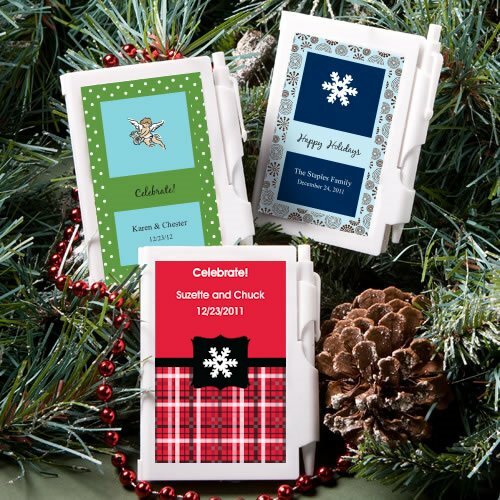 Perfect for a winter wedding or other seasonal event, each 3 1/4" x 4 1/4" notebook favor opens to reveal a blank white notepad inside and an easily accessible white pen attached. Personalization included, choose from a variety of color combinations, border designs and winter theme designs to match your occasion along with 3 lines of custom text.